Not all quadcopter ‘drones’ are equal. Before you buy your first quadcopter drone, you’ll be better off doing a decent amount of research and going through multiple reviews before making a purchase. They come in all shapes and forms – from mini to micro sizes to larger ones that have extensive features like return home function and GPS. Especially if this is your first time, you should avoid the expensive drones till you get enough practice and muscle memory to fly without conscious thinking. You don’t want to wreck that $1000 drone within the first few days of flying unless you have a magic cash machine. Sure, one could argue that it comes with many features that make it easier to fly, but it doesn’t mean that you won’t crash. Either way, it is better to learn how to fly manually, giving you flexibility to fly however or wherever (within law’s limits) you want it to. Cheap mini drones under $50 are perfect for this. Also, you might want to go for a RTF (Ready to fly) model as your first purchase. Be especially careful about this if all you want is to unpack that box and be ready to go. Not all drones come ready to fly. We’ll cover this and other main differences in this post which will help you make a better decision. RTF drones come with everything pre-packaged and built in the box, ready to fly as soon as you unpack it. All you need to do usually, is put in some batteries, turn on and voila! This type of drone is what I would advise most beginners to buy as your first quadcopter drone. You do not have to undergo the pain of putting the parts in place and going through a plethora of internet forums and websites to find customization, tuning and software options. 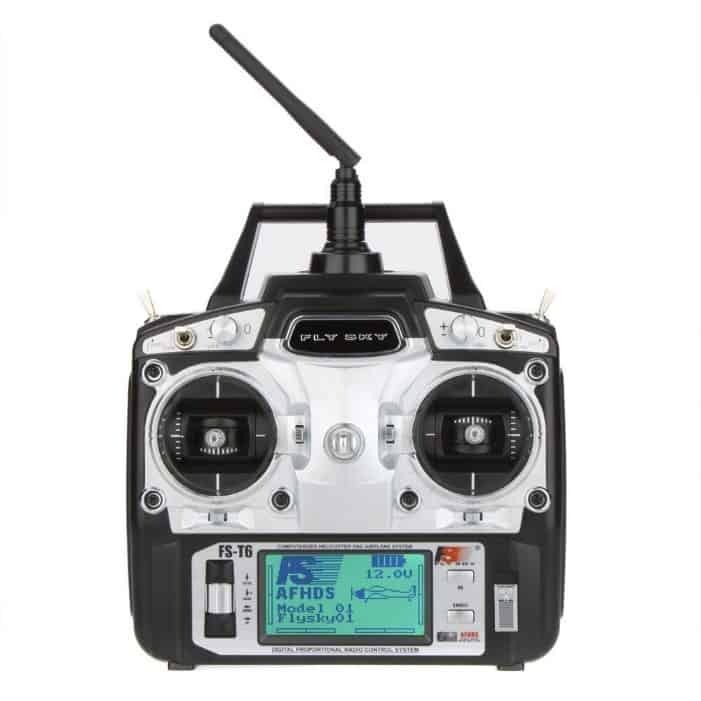 Some BNF (Bind and fly) drones also exist, which requires you to bind your transmitter to the drone to fly. I’d avoid this as a beginner. Most RTF models tend to have instructions that are very detailed and communities to help you with any problems you might encounter. If this is your first time entering the hobby, definitely go for the RTF drone as all you need to do would be to learn how to fly without overwhelming yourself too much. Do you like to tinker with electronics? Do you want to have a better understanding of the ins and outs of your drone? If so, you might want to go for an ARF (Almost ready to fly) Kit. Building your own drone from a Kit can be in fact, very educational and satisfying. This will be especially helpful if you want to repair your drone, fine tune it and upgrade it. After you have played around with a couple of RTF drones, this might be the way to go. Specific details regarding this will be a topic for another post(s). I would advice against this as your first quadcopter drone. 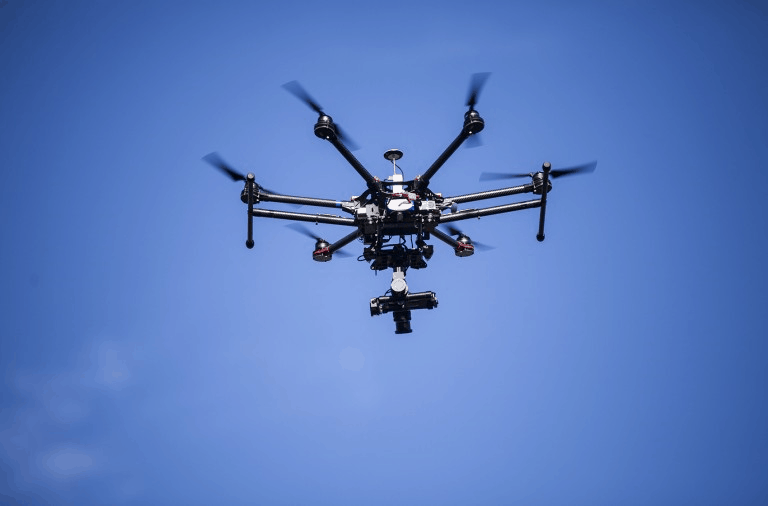 Drones usually range from as low as tens of dollars up to several thousands. Smaller, basic drones are obviously cheaper and are perfect for the beginner hobbyist trying to learn the ropes making it ideal as your first quadcopter drone. It is advised that you buy small but quality RTF drones (usually around $50) as your first quadcopter drone before working you way up. This will help preserve the paper in your wallet should you crash during your early flying experimentations. With cheaper drones, it is also easier to replace any damaged parts with spares. It would cost you a fraction of a fraction of the costs of repairing a fancy, expensive drone. You might as well buy multiple smaller, cheap drones to use it as spare. Remember – you are better off learning how to fly the thing first! Batteries (Most brands usually have an extra battery that come out of the box). Drones come with different controls and ease of use. From using a traditional joystick transmitter to an easy to use phone app, a drone can be controlled in many ways. Beginners looking to learn how to fly a drone should probably steer clear of phone apps and GPS controls in your first quadcopter drone. How you choose to control your drone is entirely up to you of course, but a traditional transmitter will force you to learn how to control your drone fluidly in a wide variety of scenarios and environments. Another thing to note now is the number of axis. A 6 axis drone will be much easier to fly relative to a 3 axis one due to gyro stabilization (detailed technicalities for another post). Though most drones that come out today are moving toward 6 axis, a beginner looking to learn how to fly a drone would be better off purchasing a 3 or even a 4 axis drone. The skill you acquire from flying such a drone will come in handy once you move up the price and sophistication ladder. You will be much more equipped and confident to handle your drone without crashing and destroying it. This might seem counterintuitive, but I’d suggest picking a relatively ‘not so easy to use’ model as your first quadcopter drone to maximize learning. The pricing and sophistication is the only thing you need to ‘ease’ on for now. You’ll thank me later! Most micro and mini drones have a battery life enough to have a fly time of about 10 minutes. This is might be plenty of time for some, but not enough for most. This is why its worthy of reiterating that buying more batteries as a spare is a good idea. Charging them before you head out on your flying adventure will give you more flight time. Batteries are usually charged with a USB cable or with a plug in AC charger depending on your purchase and typically takes about half an hour to an hour. The drone transmitter also requires battery and this might be AA or AAA batteries. Make sure you take proper care to charge your batteries, especially the LiPo batteries. Some batteries can be extremely flammable, so please be careful! 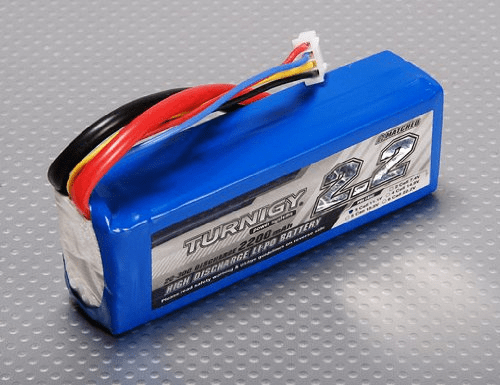 It is also important to learn how to properly maintain your batteries, as soon as you get your first quadcopter drone. Most micro drones under $50 typically do not have a camera. 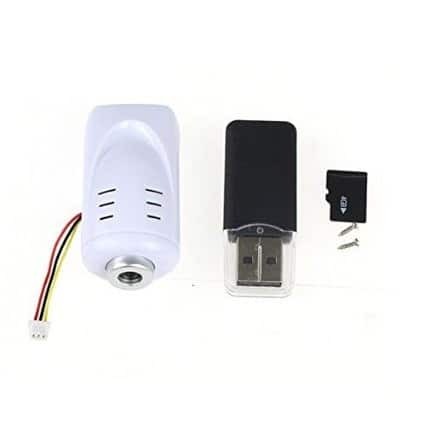 If you are willing to pitch in another $20-$30, a few models such as the Hubsan X4 or the DBPOWER Hawkeye-l come with a 2MP camera with a 720p density. While these drones may not match the more expensive drones like the DJI Phantom, they can take some pretty decent photographs and video. If you want an FPV experience however, you’ll have to typically spend at least $100 on your drone as of today. As a beginner looking for your first quadcopter drone purchase, it might be best to just overlook the camera feature and buy something that can help you learn to fly. As you get to your second drone, you can then look for one that will give you that amazing photography and videography experience, along with that FPV (First person View). By then you will already be a well-rounded drone pilot capable of utilizing such features! Depending on the Drone, there may be many different modes for flight. The most basic mode of a drone is the Arm (also ACRO, Rate or Manual) mode. 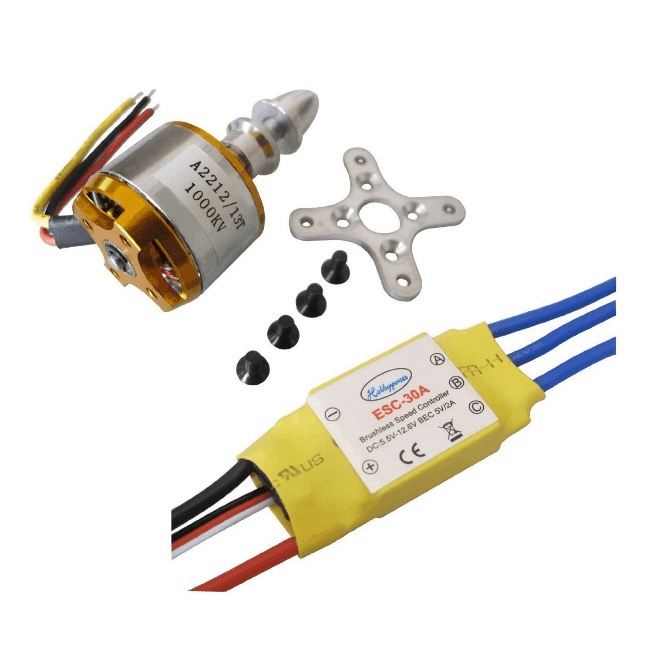 This particular mode only requires one type of sensor – the gyro sensor. This mode is what you’ll be focusing your attention on, as a beginner, to master your flight skills. Most basic drones that you’ll want to purchase as a beginner will only typically have the gyro sensor anyway. And this typically is all you will need for your first quadcopter drone. The other mode that you may be interested in using frequently with your first drone is the self-level mode. This uses another sensor – the accelerometer to stabilize your flying. This can be more newbie friendly, but reduces your scope for practice. This is an amazing feature. Want to feel like an eagle soaring in the sky? FPV mode is for you. Essentially it allows for you to see what the drone sees in real time, provided it has a camera. This is the buzz or the ‘in thing’ of today. The drone beams back what it sees through its camera to a screen on your transmitter or better yet, to wearable glasses which will give you an even better experience. FPV piloting is a whole different experience! Typically mid to high range drones tend to have this feature. This mode sets it so that the controls of your drone are set at the beginning orientation of your drone. If you were standing behind the drone when it was armed and you were facing a particular direction, forward will be that direction, backward will be the opposite direction and so on. A life saver, if your drone goes out of range. It is always recommended that you fly your drone within line of sight. Things are not always going to be predictable, especially your adventurous spirit. This mode makes your drone fly back to the initial point at which it was launched. Make your drone hold its current altitude, regardless on any other operation it may perform. You can flip and yawn around all you want without fearing that the drone will lose its altitude and descend. A very useful feature, especially for videography. Ever seen scenic video footages giving you a feeling of actually hovering above that place? Loiter Mode on a drone with a quality camera can do just that. It essentially sets your drone to maintain its location and direction. This typically lets you can go hands free without worrying about crashing straight down to the ground. There are plenty of other features that could come with more pricey drones such as the GPS, Horizon, BARO and so on. Copter has a nice list you might want to check out. Where can you buy drones? Always be on the look out for discounts and price drops. There are plenty of online drone specific stores that you can buy from, often at a cheaper price than you would get at your local store. If you want to purchase professional, prosumer and racing drones and accessories at a reasonable price, check out our friend Mike’s store. He has over thousands of followers on social media and over 40 years of experience in almost everything aircraft related. Use the code DRONEYBEE to get a discount! That’s all folks! As for now, this should be enough information to ponder before that first purchase as a beginner. If you liked the article, please do not forget to share with others. Feel free to drop a comment below too!